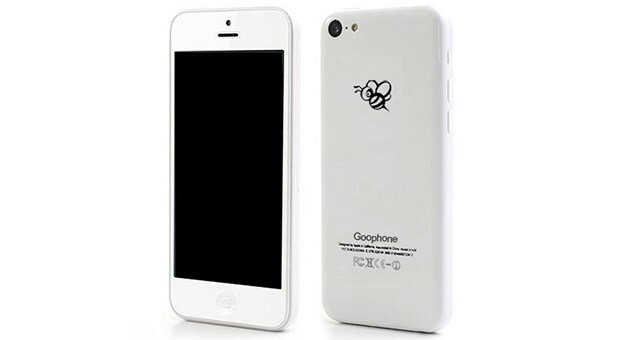 Goophone to launch $100 iPhone 5C clone, still KIRFing it – Now you get it! Goophone’s shaping up to be an enduring passenger aboard the iPhone clone train. Hence, it comes as absolutely no surprise that it’s conjuring up an iPhone 5C copy months after it released an iPhone 5S of its own. Despite popular belief that the 5C will be more affordable than the typical iPhone, the KIRFer has confirmed to us that it’s making a copy known as the i5C. Goophone has yet to spill the details (and the above image is just a mockup), but leaked specs suggest it’ll contain a 4-inch 960 x 540 screen, a 1.2GHz dual-core MTK6572 processor and an 8-megapixel rear / 2-megapixel front-facing camera. It reportedly supports quad-band GSM, has 3G connectivity and runs Android 4.2. It’s claimed that the Goophone i5C will ring in at $100, but anyone who’d like to get their hands on the cloner’s latest masterpiece will have to wait — Goophone tells us it’s waiting for the real one to make first arrival.